Weighing up to 60 pounds on average, beavers are the largest rodent found in North America. Well-known for building dams, these creatures make more of a difference to their ecosystem than many people realize. In fact, they're commonly referred to as ecosystem engineers, because of all they do for their surrounding environment. When beavers make a dam, they slow the flow of water in the stream and, subsequently, a pond or area of wetland is formed. Roughly 85 percent off all native North American fauna rely on wetlands, so they're extremely important to the ecosystem. These wetlands also slow the runoff of rains, thereby storing water that would otherwise be lost. When beavers fell trees to make dams and lodges, they have a positive effect on their ecosystem. After felling aspens -- beavers' tree of choice -- the stumps grow new shoots, which are unappetizing to beavers but are the ideal food for moose and elk populations. When they cut down trees, they also bring more light to the forest floor, which allows trees that need a lot of light to grow -- such as hazels and alders -- an opportunity to thrive. This encourages diversity of plant life. When a dam slows the water and creates a pond or wetland, it also slows the movement of the sediment in the stream and causes it to build up in the pond. This nutrient-rich sediment either provides food for those creatures who live at the bottom of the pond or slowly seeps into the surrounding soil. Once the beavers move on and their dam breaks down, the water will drain, leaving behind an extremely lush meadow full of rich soil. Dams also filter the water that runs through, improving its quality. The ecosystem engineering that beavers carry out in their habitat has a positive influence on local flora and fauna and greatly increases biodiversity. 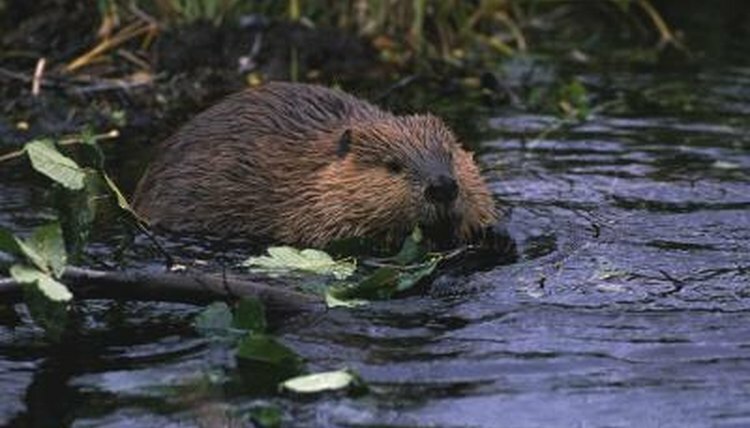 Studies have shown there is likely to be a greater abundance of birds, reptiles and plant life in areas modified by beavers. Beavers tend to make their ecosystems more complex, and therefore a number of species may rely on them and the way they engineer the environment. What Ecosystems Depend on Gorillas? Are Mosquitoes Valuable to the Ecosystem? What Do Beavers Do at Night? What Kind of Habitat Do Beavers Live In? How Long Does It Take for a Beaver to Chew Down a Tree? How Does a Beaver Protect Itself? What Does the Inside of a Beaver Den Look Like? What are the Adaptations of a Crocodile to Survive Its Environment?